Sorry. Greatest American Hero got stuck in my head there. But speaking of heroes, let me tell you about a book that will be released in July that I’m so happy to be part of. 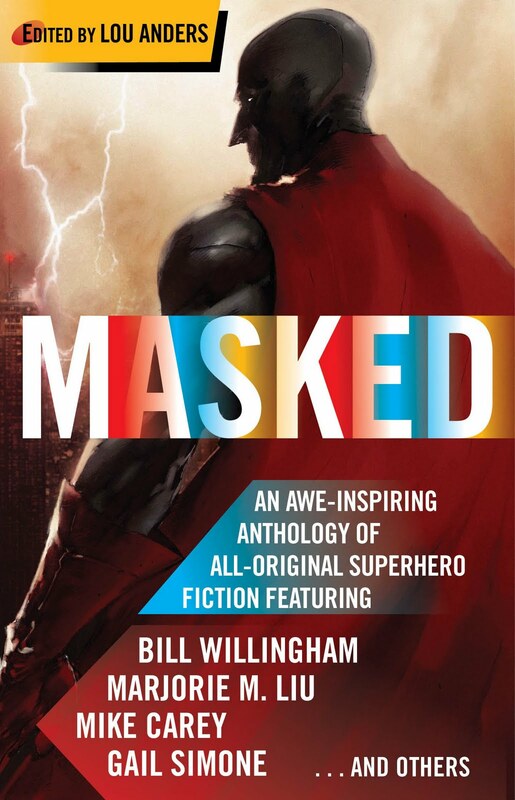 Masked is an anthology of superhero stories, all originals, written by comics writers, prose writers, and those that do both. My story’s there alongside those from some of my clockwork compadres Matt Sturges, Bill Willingham, Marjorie Liu, Paul Cornell, and Chris Roberson. (Yes, we are all over this book.) It’s edited by Lou Anders, who spends most of his time turning Pyr Books into the next SF/F juggernaut. And hey, it’s already available for pre-order on Amazon. Very excited for this one. Such a strong group of writers and a relatively untouched topic (in prose at least). No one wants to send me an ARC unfortunately. Congrats, Daryl. What’s your story about? Here’s a link to Daryl’s stories page with a little blurb about this one. Thanks Paul. I think Daryl might be doing things that will forever remain in Vegas right now.